Try it out--three lessons for free! UPBEAT STUDIO is associated with the Arc of Sedgwick County (Wichita, KS) and lessons are open to school-age children through adults. 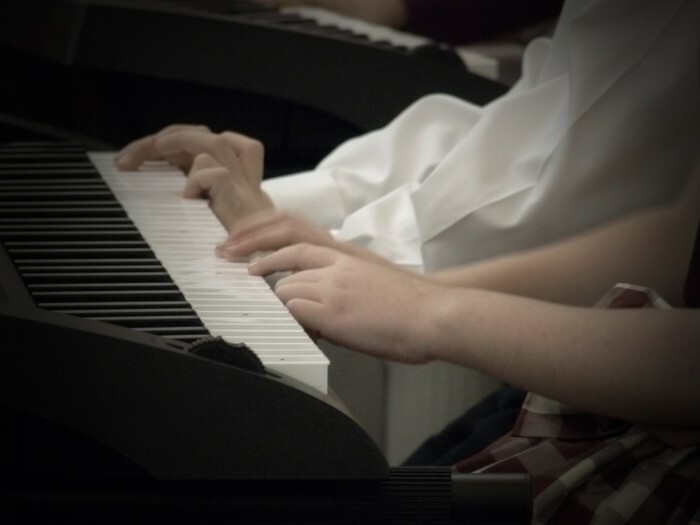 FUN, upbeat, and friendly environment that fosters a love of learning and music! My goal in teaching is to share the joy of music while building skills and strategies that my students will use throughout their lives. It is not about a single performance or reaching a certain level of playing, but rather it is about the wealth of learning that happens when studying an instrument--the self-discovery, self-discipline, and accomplishments along the way. I strive to meet each student where they are and then challenge and stretch them to reach their goals and potential. I seek to share the joy of music with each student so that they in turn can share it with others. My philosophy is simply to share music and change lives.